Great news! 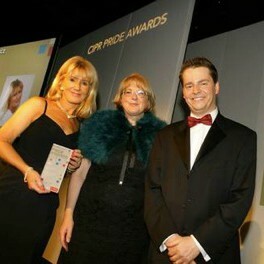 I won three Gold Awards at the prestigious Chartered Institute of Public Relations Pride Awards North East 2013. I won the top gong every category I entered. I created and implemented a PR and marketing campaign for North East based Kinesio UK (brightly coloured therapeutic taping beloved of athletes) that saw it catapulted to global attention, shifted public opinion and has led to the company doubling its staff. In addition, one of my many travel PR and marketing campaigns saw The Ducket, (a five star Northumbrian stone tower) achieve 99% bookings for three years with a 700% return on PR investment and featured in over 53 national and regional media features. The Ducket also won Britain’s Most Unique Retreat award in 2012. Media work by me for St John Ambulance North East, saw the charity achieve hundreds of items of positive press coverage in 2012 and my work helped to secure a prestigious national first aid award for two Sunderland schoolboys. I’m even extra chuffed about winning these awards because as a one-man-band, I was competing against huge public sector public sector organisations and large private sector companies in the first two categories. Achieving gold in these three awards is a fantastic accolade for my work and along with the accompanying results I’ve generated for clients, it is a huge vote of confidence in the campaigns that I create and implement. I’m passionate about the effectiveness of excellent PR and marketing and always strive to achieve great results for all of my clients. It’s now fantastic that my own business has achieved this recognition in its own right and I’m so proud. The judging process for the PRide Awards is rigorous with a national panel of industry experts assessing the shortlisted entries and choosing the winners. The 2013 Chairs of Judges, Gill Dandy FCIPR, Senior Consultant at The Centre for Strategy and Communication, and Chris Genasi FCIPR, Senior Consultant at APCO Worldwide, assisted in ensuring a fair and consistent judging process.